When Sibel Hodge contacted me to review the latest book in this series, Voodoo Deadly, I am so glad that she offered me the first two to review when I hesitated to read the last book before reading the two that came before it. They have been a pure delight to read. I can't remember the last time I laughed all the way through the books. 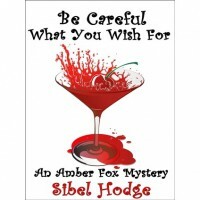 Amber Fox is one of the best heroines I've had the pleasure to read in a long time. While she is constantly getting herself into trouble, I like how she manages to get herself out of trouble and still solve the case at hand before the police and without much help from her boss, Brad.There is also just enough of a love triangle to keep the romance lover in me interested in it, and it meshes nicely with the mystery storyline occurring at the same time without overpowering it. In Be Careful What You Wish For the mystery revolves around boxer Levi Carter, the boxing heavy weight champion of the world. When he goes down in a fight, Amber's boss, Brad, gets a call from Levi's dad, who is an old military squad member of his to look into the matter. Amber gets put on the case and finds out that there is a lot going on that doesn't add up. How does the fight that he lost connect to a bank robbery? How do a few murders fit into the bank robbery and the fight? Is it blackmail, money laundering or something worse? It was fun watching how everything came together, and for the life of me I couldn't figure it out, and the theory I thought was right was wrong. However, I never try to solve the mystery that hard because I always like to be surprised at the end when it's revealed who did what and for what reasons. The love triangle was almost as much fun, if not more fun then the actual mystery. In this book we learn more about Brad who is Ambers ex who she still has unresolved feelings for because of how their relationship ended. In the Fashion Police, it was the opposite-it was more about Romeo and Amber's feelings for him. 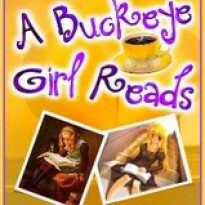 While there is more romance in this book then the last, this is first and foremost a mystery and about Amber figuring out what she wants in life and the best way to get there. The only minor complaint I have is that there wasn't enough of Romeo in this book. I would have loved to see him more included in the story line-and I hope we see more of him in the next one. These books have been compared a lot to the Stephanie Plum books by Janet Evanvoich, and there are a lot of similarities, but I feel like that there are enough differences to make them stand out on their own if that makes sense. This series has just been a nice change from the Urban Fantasies and Paranormal Romances that I usually read.~there is something about British chick lit books that I adore. If I got any hotter, I'd explode in a puff of smoke. Brad had dangerous hands, and not just for bad guys. In fact, his hands should be made illegal. Maybe I should marry Brad. Just for Marmalade's sake, you understand. He purred louder, and I could;ve sworn he nodded at me. May I should let Marmalade decide my love life from now. on. He'd probably do a better job than me. What do you think, boy? Should I marry Brad? Brad glanced at me over his shoulder. "You're going to let a cat decide whether to marry me or not?...I picked up Marmalade "so Meow once for yes, and twice for no." "Meow." The corners of Brad's lips curled into a smile. I take that back. You can let him decide everything from now on."